Whether you are traveling for work, for pleasure or for the holidays, bringing along your trusty digital cigarette companion is most likely high on the priority list. Even with all the various forms of travel – from planes to cars to cruise ships – there are some standard suggestions of how to properly store your e-cig and keep it safe during your trip. Digital cigarette – This is the most essential piece to remember. Although there may be a vape store where you are going, it is a hassle to have to buy a new one for the trip. Plus, you could end up with an inferior device you don't like as much. Batteries – It is vital to take more than one battery. The last thing you want is to get stuck with a dead battery and not have a replacement handy. It would not be cool to be enjoying the beautiful breeze of the ocean when your battery conks out on you with no back up! Chargers – What good is the battery without the charger? We suggest packing a variety of different charger types: a car charger, a wall charger, and perhaps even one for the computer. This way, whether you are relaxing in the hotel room or enjoying a nice ride along the beachside, you'll be prepared. E-Liquid – If you've been vaping for a little while, you are probably aware of how much e-liquid you go through in a day. However, on vacation you may use your digital cig even more. Calculate how much e-liquid you will probably need for the duration of the trip in case you are unable to find a store to restock. E-cig Accessories – You may also need some accessories to make e-smoking easier during your travels, such as lanyards or a carrying case. Make sure you are well-stocked up on all the equipment you need to make your travel experience go smoothly by checking out our inventory of e-cig accessories. Disposables – Some people may prefer to have a few e-cig disposables so they do not have to worry about having chargers and batteries with you at all times. Now that you know what all you should take, check out some specific suggestions for various types of travel. Plane – You are permitted to travel with your digital cigarette on an airplane, but do not use it while on board. When flying with your device, one recommendation is to disconnect the battery and put it in another bag to avoid setting off an alarm at the security checkpoint. Also, don't make it look so inconspicuous that people may be concerned as to what it is. Be open about the fact that you are packing your most precious traveling companion! It is also important to store your e-liquid properly when you are onboard a plane. The TSA (Transportation Security Administration) has a webpage explaining the exact rules for traveling with liquid. First, you need to make sure your e-liquid is not in a bottle larger than 3.4 ounces. Secondly, these containers must be in one quart-sized clear plastic bag. Each person is allowed only one of these bags. Lastly, we suggest keeping all of your digital cigarette supplies with you. Do not pack them away, but rather have them with you in your carry-on bag on the plane. If you abide by the rules of the plane, you will be fine. Just don't do anything that looks suspicious or try to push the rules, otherwise you could be without your device for the whole trip! Car – Traveling with your digital cigarette by car is fairly straightforward. Don't forget to bring your car charger and only light up as long as everyone in the car is okay with it. Just be courteous. Cruise Ship – It is completely up to the cruise line as to whether or not you are allowed to vape while on onboard the ship. Research each cruise line's policies before booking your trip if this is important to you. Most are fine with it as long as it is not done in the dining hall. 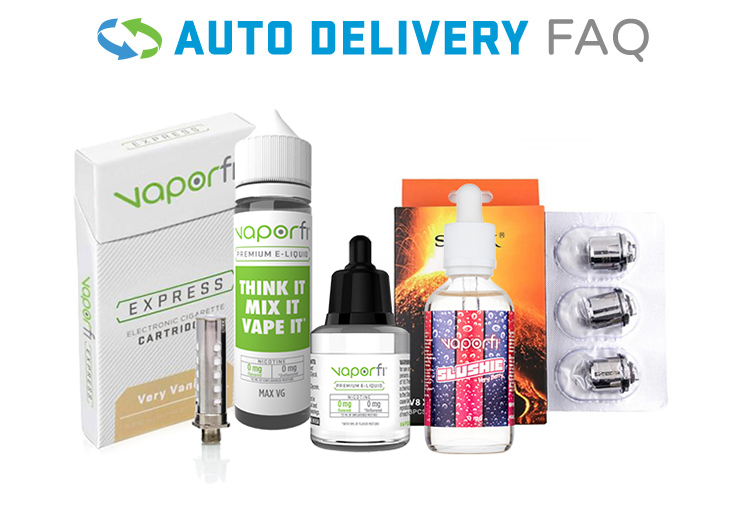 Whether you are going away for business or pleasure, enjoy your vaping experience wherever the road takes you by ordering your choice of quality digital cigarettes from VaporFi today!